Kitchen remodeling doesn’t have to be overwhelming. Kitchen remodeling can be one of the most intimidating home renovation projects, and many people live with outdated or inconvenient kitchens for years to avoid the upheaval and expense of remodeling. It can be a big job, but with the right kitchen remodeling contractor, you can stick to your budget and schedule while minimizing disruption. Many myths have grown up around renovation contractors and what you should and shouldn’t do with a kitchen remodeling job. It’s important to separate myth from fact so you can make your kitchen remodeling decisions based on sound information. Here are a few kitchen remodeling myths to be aware of. There are different degrees of remodeling, and this is what determines how much you should spend. If you only want new lighting and wall covering, you clearly don’t need to spend as much as you would if you wanted new cabinets, countertops, and appliances as well. 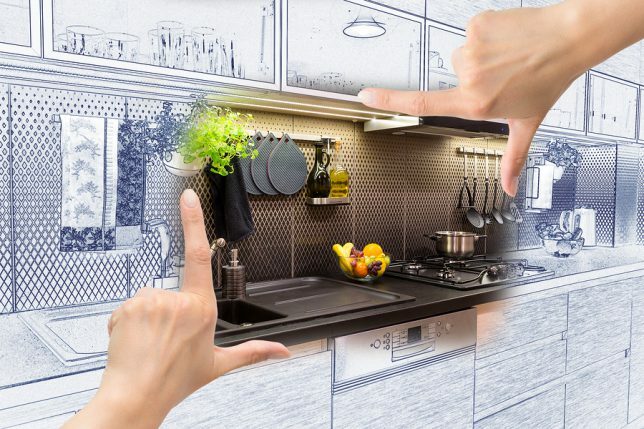 You’ll probably end up spending somewhere between 5 percent and 15 percent of your home’s value for kitchen remodeling once you determine what you most want to change about your kitchen. Many people don’t realize how complex a kitchen remodeling job can be, or how critical it is that it’s done correctly. Not only must your kitchen be safe, it should harmonize with the rest of your home and ideally add value to it. Some people think that because they know how to put together flat-pack furniture from IKEA, they can DIY a kitchen remodeling job, but that’s usually not the case. Unless you have solid experience in remodeling, it’s best to rely on a professional, licensed kitchen remodeling contractor to do the work. He or she will ensure that the project has the proper permits and that it’s up to your local municipal codes. Kitchens should be remodeled in accordance with your needs and taste. If you plan on staying in your home indefinitely, you should remodel in accordance with how you use your kitchen. If you plan on selling your home within the next few years, you’ll want to talk to kitchen remodeling contractors about how you can change your kitchen to make your home appealing to buyers. If there’s a trend you particularly like, use it, but don’t plan an entire kitchen renovation around what’s “hot” right now. It may look horribly dated in a few years. Professional kitchen designers know that function is the most important aspect of kitchen remodeling — going big just to make an impression may compromise your new kitchen’s usefulness. You may want a space that’s great for entertaining large crowds, but ensuring it works on a day-to-day basis should drive decisions. A sink that’s too far away from a cooktop, or a double oven too far removed from main countertop workspaces is impractical, and can even factor into safety when you need to take a boiling stockpot to the sink or take extra steps while carrying a hot roasting pan. For a kitchen that will work for you for years, hire an experienced contractor. 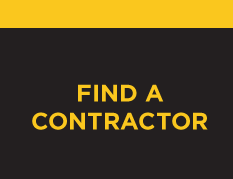 Contractor Connection makes it easy, with pre-qualified contractors in your area ready to go to work. 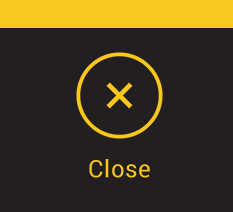 Enter your ZIP code above to start your project now.